Stand by for a fundraiser called Sustain our Strand, says Greg Williams. The food-wine-and-music event will take place Tuesday, September 14th, 6 til 9 pm. memory lane in the grand 1920’s theatre. 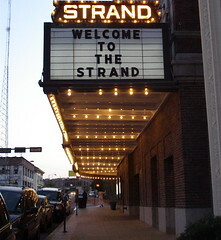 All proceeds from the event go directly to the Strand Theatre. Marjorie Lyons Playhouse at Centenary College of Louisiana opens the season with a world premiere production of Pangaea, a play by award-winning playwright Erik Champney. 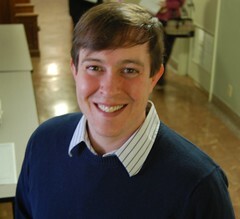 The playwright is also an actor and student at Centenary College. Production dates are September 23, 24, and 25, at 8:00, and September 26, at 2:00. Pangaea, says Champney, tells the story of what happens when the people we manipulate begin to manipulate us. Through the lives of five very different people (an alcoholic psychologist, an All-American boy-next-door, a reclusive pothead, an attention-seeking manic-depressive, and a social chameleon), the play explores the perils of depending on another person for individual identity and the terrifying journey back to who we really are. Andrew Wood as Phillip Ashcroft and Barry James Acosta as George Cromwell. Pangaea is directed by Ryan Williams, with set design by Don Hooper and lighting design by Courtney Gaston. 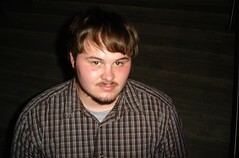 Mark Henry has composed the original score. Stage Manager is Ivy Dulaney, with Abigail Presswood as Assistant Stage Manager. Emily Slazer serves as Properties Mistress. On the eve of the P.A.C.E. 2010 North Louisiana Gay and Lesbian Film Festival (Sept. 10-16), minicine? will explore film shorts from the experimental film underground, says David Nelson, including early works from the time before gay and lesbian subject matter had established itself as a genre in theatrical release cinema. In honor of the appearance of Director John Waters at the festival, some of these films have been selected for their influence (by his own admission) on his unique film vision. 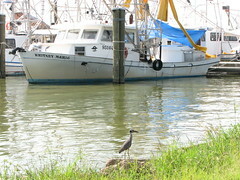 In a program within a program within a program this will include, Un Chien Andalou (1929) by Salvador Dali and Luis Bunuel, which Waters has acknowledged as an influence, as well as, a soft premier for the recently released, Viaje a la Luna (2009), by Argentine filmmaker Fernando Tobar Castro as inspired by the screenplay of Federico Garcia Lorca (1929). These two films will be of further interest to festival goers planning to see Little Ashes at the Robinson Film Center, Sept. 10 or 12, which explores the tense relationship between the Spanish artist Salvador Dali, poet Federico Garcia Lorca and filmmaker Luis Bunuel. This event will include a special opening for new artwork by Shreveport artists: Nick Norwood, Andy Randolph, Shannon Palmer, Laurel Shaffer, Jamie Heiges and Ian Quiet. Edibles by Libby Patterson Smith! Full Cash Bar By Ace Bartending. Special Thanks to Fernando Gonzalez Oubina (Buenos Aires) for helping us bring the Argentine release of Viaje a la Luna to the screen as part of this program. Thurs, September 9, 8 pm, $5 donation. Please tune in to KSCL, 91.3 fm, on Mondays between 5 and 5:30 pm for a live discussion of local civic issues. Hosts Loren Demerath and Robert Trudeau of the grassroots organization A Better Shreveport are joined by ABS members such as Carolyn Manning, bike advocate / realtor, and Stephanie Pedro, urban planner. Each week also features special guests. "Please join us tonight," says Julie Payne, "to meet the four candidates running for City Council in District B -- Jeff Everson, Sheva Sims, Craig B. Lee and Deborah Allen -- and hear them discuss their views in a candidate forum." The forum will be held at Noel United Methodist Church's Fellowship Hall, at 520 Herndon Street. The forum will last from 6:30 until 8:00 p.m., followed by a 30-minute reception. Tonight's event is sponsored by the Highland Restoration Association (www.restorehighland.com) and co-sponsored by the Fairfield Historic District Association (www.fairfieldhistoricdistrict.org). Join me, Robert Trudeau, downtown on Wed evening, please. 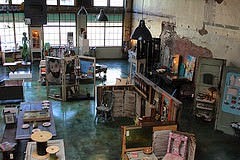 I'll be at the Re-imagination Station at the Firehouse, aka the Central Fire Station. Community activists like me - anyone who cares about the city - will congregate there on Wed, Aug 25, between 5 and 7:30 pm. A write-on board clad with butcher paper is where I will solicit and help record your dreams for the downtown area and for the Firehouse. 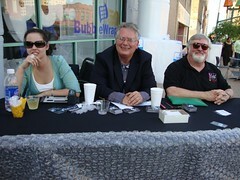 It is part of the Shreveport Regional Arts Council's event called the Fire Fest. 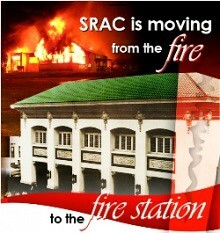 The event announces SRAC's new home at the Central Fire Station. The entire city is invited to join in the celebration. There will be free hot dogs, drinks, snow cones and rides on a fire truck from 5:00 - 7:30 pm, says Julia Foley. The Central Fire Station is located at the corner of Common & Crockett Streets in Downtown Shreveport. Parking - with a shuttle - is available in the parking lot adjacent to the Municipal Auditorium behind the First United Methodist Church. Askari Hinton has returned to his family land holdings to reclaim a salty piece of historic Shreveport. He's a landlord and developer in a neighborhood on the railroad tracks near Princess Park and Fertittas Delicatessen. The area was known as Blue Goose or, perhaps more commonly, as Crosstown. To build awareness for what one day will be prime touristic and residential territory, Hinton is holding his first Blue Goose Festival. The Blue Goose neighborhood is far from being rehabilitated so this gathering will be held at Festival Plaza, says Hinton. 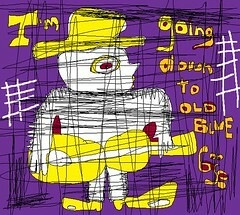 Check him out at Blue Goose Blues Foundation. One day, the Blue Goose / Crosstown could be humming again. The “Originals” Company will perform three of Carolyn Woosley’s plays in its ten-week tour around Louisiana in September, with highlights to be featured at the New Orleans Fringe Festival in November, says Penny J Miller. The “Louisiana Women: Originals” Company tour is produced in association with the Mahogany Ensemble Theatre, which will be touring from its home base in Shreveport. The “Louisiana Women: Originals” Company will feature three plays exploring the lives of pioneering African-American women, and their influences on music, art, and the complicated history of race and family relations in Louisiana. The “Originals” Company celebrates the lives of primitive painter and former Melrose Plantation cook, Clementine Hunter, who will be played by Angelique Feaster; plantation owner and matriarch of the Cane River colony of Free People of Color, Marie Thérèse Coincoin, with the role shared on alternate weeks by Kendra Cherie’ Gray and Sharon Penson; and Lake Charles native jazz pianist, vocalist, and composer Nellie Lutcher, as portrayed in their shared role by Wilma Moore Young and Neverlyn Townsel. Carolyn Graves will understudy the role of Clementine Hunter. The “Originals” Company is under the direction of Angelique Feaster, founder and artistic director of the Mahogany Ensemble Theatre, the resident theatre of the M.E.C.C.A. Foundation (Mahogany Expressions of Culture and Creative Arts). 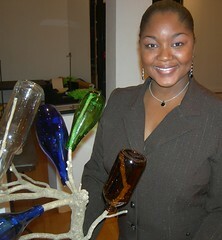 Feaster is the founding producer of the Southern Black Theatre Festival in Shreveport, which will take place this September 16 – 26, 2010 in Shreveport. The “Originals” Company tour culminates in performances at the Ogden Museum of Southern Art during the New Orleans Fringe Festival in mid-November. Info about tickets, performance dates, and venues: producer, Leslie Berman, at 337.515.6479. Media information including company bios and feature stories: Penny J. Miller, Publicist and Marketing Director, at 337.438.3038. The Multicultural Center of the South is hosting an exhibit of work by hurricane damage artists Su Stella and Curt Harville. Using photos and memorabilia, they are "creating an incredible experience, not just an art show." John Waters ("Pink Flamingos", "Hairspray", "Serial Mom") appears at festivals, universities, and clubs across the world and has since the 1970's, says his press kit. The next place he's expected to show is the Robinson Film Center, Shreveport, says Michelle Glaros. He will be honored by the NW La Gay & Lesbian Film Fest at a reception at 4 pm on Sun, Sept 12. At 6 pm he will introduce an airing of Polyester (1981). As a director, actor, graphic artist with showings at galleries across the globe, creator of the wildly successful Broadway musical "Hairspray", Gay/Lesbian role-model, social commentator, author of numerous books (including his 2010 best-seller Role Models), and even his being immortalized as an animated character on "The Simpsons"-- not to mention being the man who first took a chance, believed, and catapulted Johnny Depp from pin-up idol to serious-actor status and critical acclaim-- Mr. Waters is a renaissance man of almost unprecedented cultural influence. David Forshee, sound designer, will speak about the importance of quality sound in filmmaking and will give a virtual tour of his self-built sound studio located in the Highland Historic District at SIFA this week, says Chris Lyon. Shreveport filmmakers will gather at the Shreveport-Bossier CoHabitat at 610 Commerce Street Wed, Aug 25, to share information about local film productions and continue growing the film community. ShreveportHappyHour.com and the Downtown Development Authority continue their successful Pub and Culture Crawl on Thurs, Aug 19. Registration begins at 5:00pm at Artspace. Feel free to join at any time as there will be plenty of drink specials. Anyone 21 or older can register at Artspace from 5:00pm - 9:00pm (710 Texas Street). You will receive a Free passport to direct you to the participating locations. Complete the Pub Crawl for a chance to win $100. Artspace (Registration) - Frozen Mango Starr - $5; Heineken - $2 until 6:30 ; Get cool in Club Dantzic; Live Jazz Music. Robinson Film Center - $2 Heineken and Heineken Light; $5 Sonic Lemonade Martini; $2 Chocolate Covered Cherry Shots; Music by Sonic Geometry. University Club - $2 Heineken and Miller Lite Draft; $4 Strawberry Lemonade; $4 Wedding Cake on the Rocks. Overtime Sports Bar - $2 Heineken; $2 Margaritas. Sand Bar - $2 Heineken, Heineken Light and Amstel Light; $2 Well Drinks; $3 Single Liquor Shots; $3 Bombs. Shreveport is changing in several ways. Many of us want to guide that change toward sustainability and healthy practices - enhancing bicycling and pedestrian opportunities, constructing green ways and saving historic downtown buildings. There's a grass roots organization with that focus. It's called A Better Shreveport. Listen to KSCL fm, 91.3, for live broadcasts on Mondays at 5 pm in which members of A Better Shreveport discuss local issues and explain the responses being planned. You'll hear from me, from Centenary College professor Loren Demerath, from realtor Carolyn Manning, urban planner Stephanie Pedro, an attorney who commutes by bicycle across the city, Maurice Loridans, and others. Want an update on Shreveport's efforts to get a dog park? Expect to hear dog park news from Cynthia Keith. If you've got a question or item you'd like to see on our agenda, please email ldemerath@centenary.edu. Are you aware that KSCL streams on the internet? 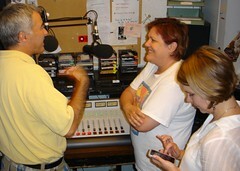 See Kscl.fm. 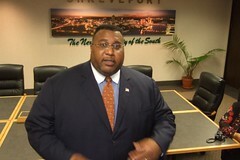 All eight Shreveport mayoral candidates have confirmed their attendance at the P.A.C.E. 2010 Shreveport Mayoral Forum, says Adrienne Critcher. Dana Bruhnke, Roy Burrell, David Cox, Cedric Glover, Tim Goeders, Hersy Jones Jr., Parker Ward, and Bryan Wooley will all be participating in a “Question and Answer” session open to the public on Sunday, August 22 from 4:00 – 6:00 p.m. at the Deaf Action Center (601 Jordan Street). P.A.C.E. (People Acting for Change and Equality) is a nonpartisan organization that works to advance equality in Northwest Louisiana so that the lesbian, gay, bisexual and transgender (LGBT) community can lead open, honest, responsible, and safe lives at home and in the workplace. A reception will follow the Q & A. P.A.C.E. will not be endorsing any candidate. Candidates for other offices will be recognized at the forum. More information: Adrienne Critcher at 318-869-3930. Gary Joiner will discuss the clearing of the “Great Raft” on the Red River and how this series of ultimately successful attempts lead to the growth and success of Shreveport as we know it today, says Jameel Damlouji, president of the NW La Archaeological Society. "Our next meeting of the Northwest Louisiana Archaeological Society is scheduled for Wednesday, August 18th, at the Broadmoor Branch Library, 1212 Captain Shreve Drive at 5:15 pm. This meeting is a continuation of our summer lecture series and features Shreveport’s premier historian, Dr. Gary Joiner. Dr. Joiner will discuss the clearing of the “Great Raft” on the Red River and how this series of ultimately successful attempts lead to the growth and success of Shreveport as we know it today. According to the Caddo Indians, “Even the gods were powerless in defeating the Evil One, who had created the creeping beast that continually slithered and suffocated the river”. 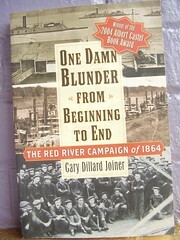 This story is full of unique personalities, technological innovations, great hardships, and the roll Shreveport would finally play in commerce and quality of life across a large area of the country when the raft was finally cleared. Anyone can attend to hear this fascinating story of the nearly 100 year effort to clear the largest logjam ever recorded in North America. Attendance is free to all interested parties. Please arrive early as seating will be limited." Book photo by Kathryn Usher. Says the Renzi Center's Amy Bryant of the 5th Annual Bunco Bash benefit, "The cost to participate is only $45 per person, which includes an elegant all-you-can-eat buffet prepared by the chefs at Eldorado Resort Casino. Also, cash bar & lots of silent auction goodies." All proceeds benefit Renzi’s free After School Program. Highly recommended: your editor has visited the After School program and knows several students who were regulars at Renzi. I can vouch for the high quality of the academic and artistic programming. "Our 5th Annual Bunco Bash and Silent Auction is going to be a blast," adds Bryant, "as over 300 participants compete for some really great prizes from Shreveport’s best sponsors! 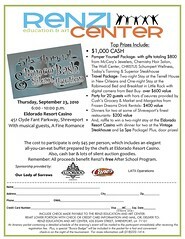 The event will be held Thursday, September 23, 2010 beginning at 6:00 p.m. at the Eldorado Resort Casino." In "Pageant," six beauty queens - all played by men- are pitted against each other in an extravaganza of evening gowns, bathing suits and not-to-be-missed talent. The winner will be picked by the audience so every night a new winner can be crowned. August 20,21,27,28 starting at 8PM. Cash bar each night of the show. $15 for adults, and $10 for senior...s/students. Official After Party Will be at the Korner Lounge after each performance! William Joyce, artistic director of Artspace Shreveport, looked at the photos of jazz greats that were to be exhibited at Artspace Shreveport and had an epiphany: "We'll show those images in a nightclub, which was where so many of those performances were captured." Thus Artspace Shreveport has been turned into Club Dantzic for the display of the photos of Satchmo and Miles and Krupa. The exhibit opens with a party Friday night - beginning at 5:30 pm. At 8 there will be a curator's talk by Grayson Dantzic, son of the photographer whose work is on view. Speaking of the hot TV series, the vibe will be pure Mad Men. The musicians and onlookers in the photos sport white shirts, skinny ties, Ray Bans, little black dresses, pointy high heels. There will even be a behind-the-curtains area called the Boom Boom Room. There you'll be able to catch the burlesque vibe of the era, says Megan Porter. The room is dominated by a large, dark bar designed to evoke a big-city tavern. Friday night the Stanton Hoffman quartet will provide ample jazz and will able to play whatever's necessary - r&b, rock, reggae - to get the crowd rolling. With the powerful John Hoffman on drums (Stanton's son), Rick Willis on bass, Stanton on keyboards and Scotty Gerardy on sax, the quartet presents some of the region's best players. Also, look for a video called 'Jazz Is' by Robert Trudeau. Six local musicians offer solo takes on their favorite jazz vibe in a film designed to demonstrate the range and something of a definition of the music called jazz. Bill Joyce's definition of the music is on the Club Dantzic logo: "Jazz is life. 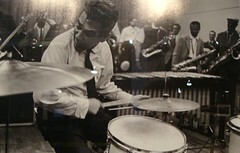 Life is Jazz." This is the theatrical trailer for an upcoming feature film debut by writer/director Evan Falbaum, a Shreveport lad and Univ of Alabama grad who has been making movies since his days at Caddo Magnet High. In his cast: locally-schooled Kemerton Hargrove, Steven Bailey, Cyndee Rivera, Daniel Lachman. See more at www.gettingouterspace.com/. The JFJO, the Jacob Fred Jazz Odyssey, is a quartet that manages to stretch the colors of modern jazz into a sky-ripping rainbow. They are jazz, electronica and psychedelia in one night. 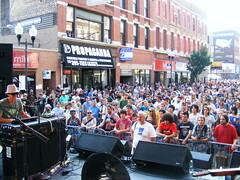 The JFJO is a also bi-coastal spark on the jam band circuit. They are as well known to earthy twentysomethings as Phish. Their show at Centenary College's Anderson Auditorium follows their date in New Orleans and precedes shows in Austin and Denton. "The Tulsa, Okla., combo is as ambitious as ever, playing improvisation-laced music that's equally heady and earthy, a feast for the ears and fuel for the feet." "This is a very last minute gig by an incredible artist," says Dan Garner, "at 516 Texas Street, this Sunday at 7 pm." 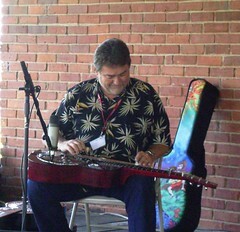 Johnny Bellar is a virtuoso performer on resophonic and lap steel guitars, says johnnybellar.com. Often called a Dobro after the first and most famous manufacturer of this instrument, the resophonic guitar has recently become a pervasive voice in modern recordings of country, rock and popular music. An acoustic instrument invented in the USA in the 1920's and usually played with a metal slide, the resophonic has a mysterious, dark and compelling voice. Bellar is famous as a Nashville session musician and composer of gorgeous melodies; he is also the 2005 National Resonator Guitar Champion. He is occasionally seen on Nashville Now and the Grand Ole Opry and at "guitar wizard" gatherings in the USA, Australia, and England. 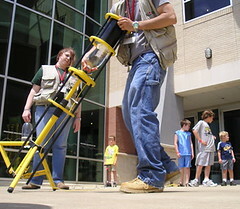 Sci-Port: Louisiana’s Science Center will be closed Monday, August 23 through Friday, August 27 and Monday, August 30 through Friday, September 3 for its annual Spiff-Up, says Karen Wissing. The Center will be open Saturday, August 28 and Sunday, August 29. During Sci-Port’s Annual Spiff-Up, staff will be polishing, repairing and getting each exhibit ready for the new school year. "A fantastic new documentary is showing in downtown Shreveport at the Robinson Film Center this weekend (August 13-15) only," says Justin Woodman. "The film, "Winnebago Man," is a tale of a man named Jack Rebney who used to make instructional and promotional videos for the Winnebago vehicle brand. While filming these videos in the 1980s, he would flub a line, or miss a mark, sending him into a tirade of obscenties making even the drunkest, saltiest sailor within earshot blush beet-red. It is these outtakes that made Mr. Rebney a legend in the videotape underground world. The internet and the further creation of Youtube sent Rebney's hilarious outbursts into the stratosphere with millions of hits." "'Winnebago Man," the movie, is about a man, infamous for something he did decades ago, from which he never intended to be infamous. The film is about the search for that man, Mr. Rebney." "Winnebago Man" is for those that love documentaries, comedies, the outdoors, outdoor vehicles and diatribes more of the sixteen-letter-plus variety. 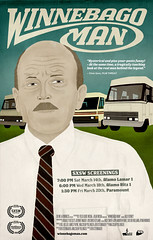 Check out www.winnebagoman.com, to watch the trailer, and don't watch if foul language offends you." Continues Woodman, "The Robinson Film Center is getting this film the same weekend as hipster cities such as Eugene, Oregon and Pittsburgh, Pennsylvania and here's the greatest thing, the RFC is getting this film a full seven days before it hits Dallas, and the Alamo Drafthouse in Austin. That's how far we've come in such a short time. Used to be, we had to go to those cities just to see a film like this and now we're getting it first. There are only six showings of this film, this Friday through Sunday. I hope that Shreveport-Bossier will come out and support what Michael Moore calls, "One of the funniest documentaries ever made!" and The Onion gives, "Three Thumbs Up!"" Showtimes at the RFC: Friday- 5:30, Saturday-1:15, 5:15, 9:15, Sunday-3:15, 7:15. A rousing tribute to Fanny Hill featuring dance sequences, musical numbers, comedic routines, and more, says Dan Garner. Coordinated by Wanetah Walmsley and Courtney Shay Young in association with WC Choreography and the NXNWLA Music Foundation. In addition to this show, the two performer/directors for WC Choreography are starting a Burlesque dance troupe, "Bon Temps Burlesque," for the Shreveport area, to be featured as frequent in-house performers for the NXNWLA Music Foundation. Dancer / actress Wanetah Walmsley says, "Ladies, always wanted to try burlesque, but don't know where to start? Courtney Shay Young will be teaching Beginning Burlesque at NXNWLA, 516 Texas St., on Tuesdays from 6-7 pm! Classes are $10!! Bring your heels,water, comfortable clothing (that makes ya feel good :), and a positive attitude! and Hip hop classes are coming soon!" "Join us for an evening of live acoustic music in a smoke-free, hassle-free setting at Fairfield Studios," says Jim Huckabay. Sun, Aug 15, 7 pm; Fairfield Studios, Fairfield & Jordan. Reservations recommended: reservations@fairfieldstudios.com or call 219-7688. A Train's first album, called "A Train," originally released in July 1979, will be reIssued in Tokyo by Think! Records, says Bruce Flett. "They're coming out with the album in CD format and a 7" vinyl Record of "Baby Please" and "Trip on Your Lip". From Think! Records Yoco Mori: "This album contains so many musical elements such as rock, jazz, latin, etc. And it is perfectly well-balanced as 'one album'. Vinyl version of this album is so rare and highly admired by collectors nowadays." The album will be on sale only in Japan. Says Flett: "A Train's first LP was for sale several years ago in a specialty vinyl record store in Tokyo. Local club DJs started playing the song "Baby Please" (written by David Egan) from this LP. It has become a cult "hit" in the Underground Dance Clubs of Tokyo." 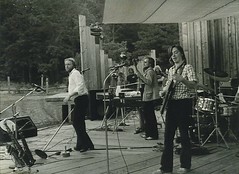 Buddy Flett on guitars and lead vocal on "Bend Over Baby," Bruce Flett on bass/vocals, Alan Tooraen on drums and the late Michael Johnson on congas and percussion. Recorded at Southern Star Studios on Line Avenue in Shreveport, LA 1979. Produced by "A" Train. Originally released on Southern Star records July 1979, Re-released on SOOTO Records 1981. Flett is thinking about ordering a few of his own albums in the new Japanese wrappers. "20 Students from Caddo Magnet High School are leaving on August 3rd to perform in the most prestigious theatre festival in the world in Edinburgh, Scotland," says Magnet's drama director, Patti Reeves. "Only 26 High Schools in the United States were invited to perform in the Fringe Festival this year. Caddo Magnet Players was one of those groups. Caddo Magnet Players will be the first high school from Louisiana to perform at the Fringe." "Come give them a great send-off and enjoy a wonderful musical theatre show. Admission is free; donations are welcome." Excellent enunciation, terrific singing and glamorous staging made the Shreveport Little Theater Academy's production of Les Miserables a thrilling experience on Saturday night at Marjorie Lyons Playhouse. This School Edition of Les Miz was more satisfying than a touted traveling show I'd seen because of the clarity in its storytelling. Zhailon Levingston, a student at Capt Shreve, and Seth Taylor, a Centenary College student, were masterly in the roles of Javert and Valjean. Singing with terrific range, they brought passion and intelligence to each scene. Director Jared Watson produced a glamorous evening of historic romance. The lighting by Watson and David White used hue, scrim, smoke and dramatic angles to grand effect. Laura Beeman's choreography - the chorus going from menacing to humorous to sensual - also enhanced the urbane mood of the show. Still, the students' voices provided the thrills. 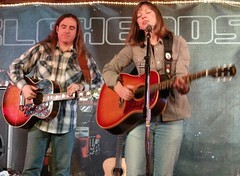 Marcie Ratcliff and Lindsey Fileccia were most impressive in their ability to mellifluously command the stage. Fileccia was also canny about blending her powerful vocals in duos and trios. Ridiculously good relief from teary-eyed stress of the story of Valjean and Cossette was provided by Jonathan Weber and Madeline Hiers as the rogues, Monsieur and Madame Thenardier. Weber was the epitome of unctuous criminal intent. Hiers was a comely accomplice. The music for this Les Miz was well modulated but anonymous. 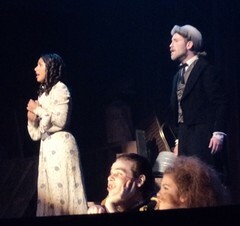 During the show, the head and expressive hands of SLTA music director Adam Philley were seen protruding from the stage slot that tops the orchestra pit. But he was not conducting the small orchestra that has typically been part of an SLTA show. He was directing a keyboard player, Daniel Ley. And Ley was triggering the musical sounds using a program called OrchExtra. As an advocate and enthusiast for live music in every aspect of American life, you can imagine my disappointment when I realized that this orchestra was composed of a conductor and one musician. 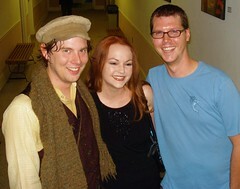 Still, Shreveport Little Theater Academy continues to be a success in both entertainment and education. Managed by Robert Darrow, the growth of the students is aided by capable adults such as Watson, Beeman, White and numerous others, such as vocal coaches William Parsons and Melissa Wise and acting coach Rachael Magill. The proof of SLTA's effectiveness is on display in one more performance; see the final show Sunday, August 1, at 2 pm. It is a long show - some 2.5 hours - but I can imagine that your attention will be well focused by the earnest and even thrilling student performances. Pardon me if I again honor the handsome leads and salute the powerful performances provided by Levingston and Taylor. These fellows could be rock stars. But they've chosen to express themselves in musical theater - and the almost full house at MLP on Saturday night appreciated their direction.